Actions in Adobe Photoshop are just amazing! They are the easiest way to streamline a set of steps you do over and over. You can record actions to create your own, or you can search actions and download a set from someone else. No matter where you are getting your actions from, you will want to be able to import them into Photoshop and start using them right away. 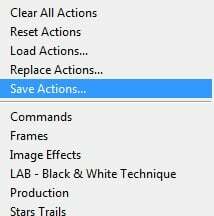 For those who are unfamiliar with what a Photoshop Action is, a Photoshop Action is a recorded set of steps or actions performed in Photoshop that can then be “played back” so that you do not have to repeat the same steps over and over again. This is truly beneficial if you are editing a large series of photos (like a wedding) and plan on doing the same edits to them all. This would greatly help to speed up your basic workflow processes when working in Photoshop. However, if you are trying to record a Photoshop action and one of the steps requires “user input,” the action will not record that step. For example: an action will not record you selecting a specific tool to use, nor will it record you applying the brush tool to your image. 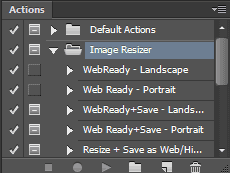 There are some things that Photoshop cannot record into an action, but there are a lot of other things Photoshop Actions can do for you that will save you time (like resizing your images to share on the web or in email). 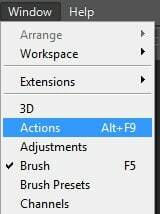 Open Photoshop and go to your “Actions” panel. Navigate to where you saved your Photoshop Action file. Action files must be in “.atn” formats. 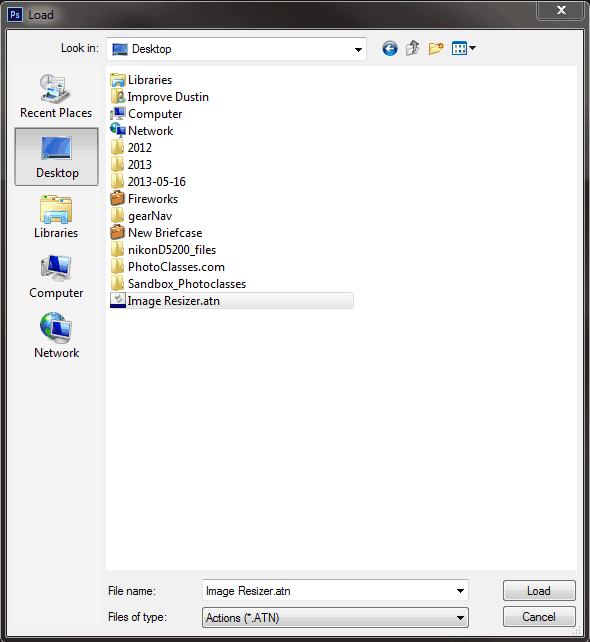 Once you have found your Action file on your computer, click “Load” at the bottom. 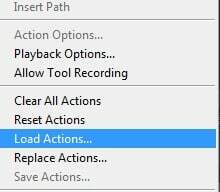 As soon as you click “Load,” you will be able to see your new actions available in the action menu list in the Actions panel. Note: If you download actions from the web by someone else, remember that you get what you pay for. The best thing to do is download actions, see how they are being done, and then apply your own style and approach to the action. Actions can often be overdone because the creator assumes you will reduce the opacity if the effect is too much. It will save the Actions folder that is currently selected. Go through each folder and save each one to a location that is off your computer hard drive so you can have access to it later should you need to restore anything. Also, this is the same process you would go through if you needed to email an action to a friend who wants to edit photos just like you. Simply save the action and then attach it to an email.